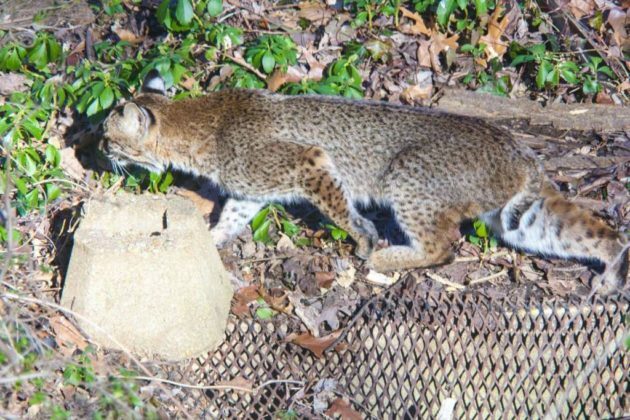 Photos: Bobcat Spotted in Donaldson Run Neighborhood? 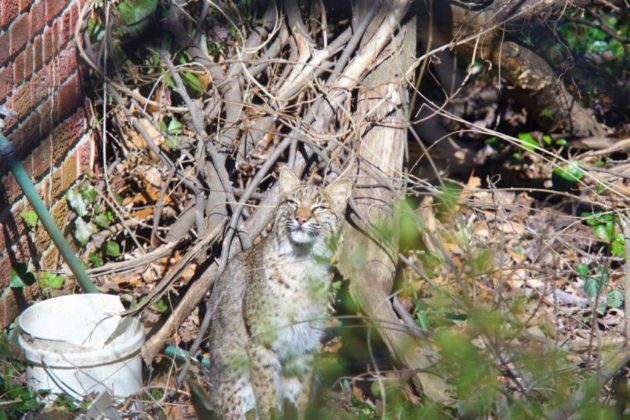 A Donaldson Run resident photographed what appears to be a bobcat in a neighbor’s backyard over the weekend. Evelyn Powers says her husband spotted the big cat Saturday morning. Photos and video provided by Powers show the animal casually exploring the neighbor’s backyard. Bobcats are predators that have been known to inhabit wooded and “urban edge” environments. They usually hunt rabbits, birds, mice, squirrels and other small game, but are generally not considered a threat to humans. 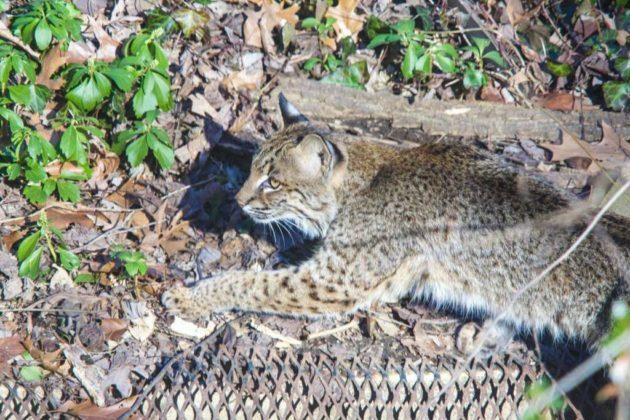 Another bobcat made news last week; “Ollie” the bobcat escaped from an enclosure at the National Zoo in D.C. but was later found and captured on zoo property. I am not aware of a previous [bobcat sighting] in Arlington. 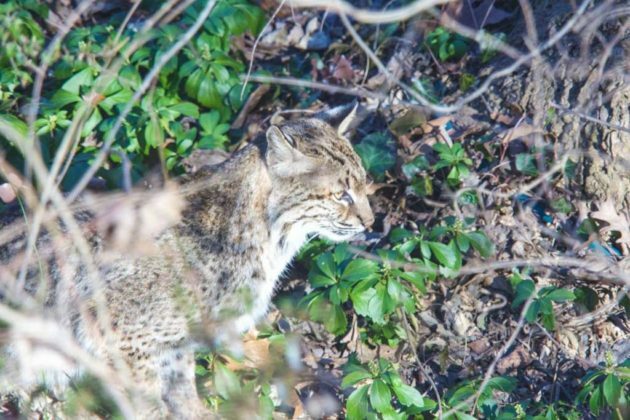 Bobcats are a rare part of the native wildlife that can be found in Arlington. They are larger than traditional cats ranging from 2-3.5 ft long and around 1.5 ft at the shoulder. They are known for their shy nature and posing no threat to humans, property, or companion animals. They are a rare sight because of their reclusive nature — but it is mating season (from Dec. to around Feb.) and that could be why they caught this glimpse. They will traditionally be spotted in only the wooded urban areas throughout the county. We ask that the public call the Animal Control Department with any questions or concerns.